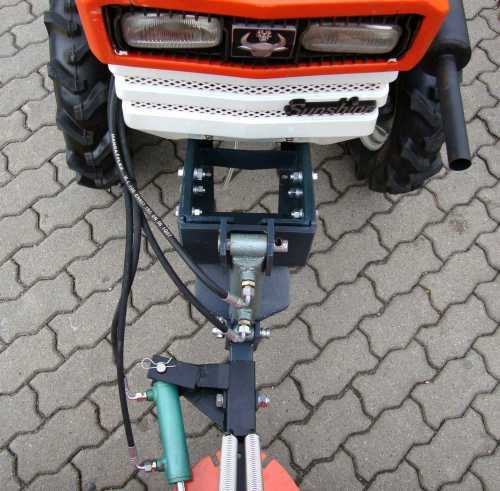 The mounting frame is screwed or welded to the frame of the tractor, if the connection does not match. 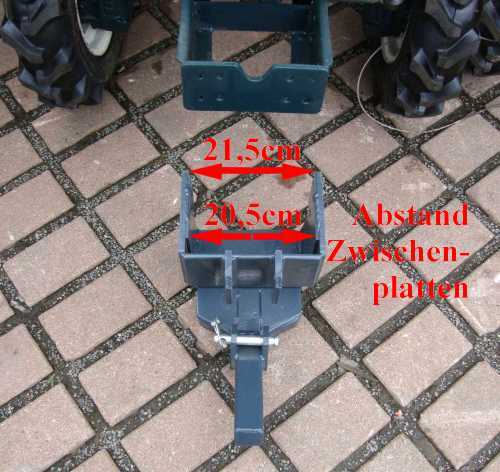 Adapted is the mounting frame to Kubota B7001, B1200, B1400, B1402, B1500, B1502, B1600. 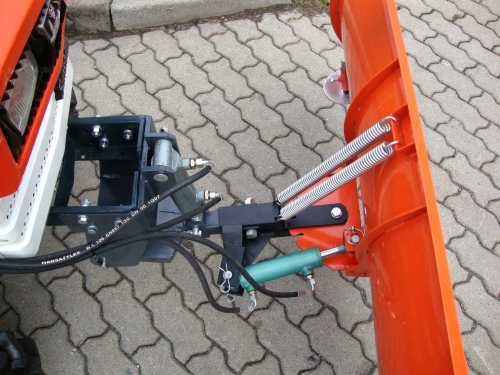 That means you can raise and lower the snow plow hydraulically. 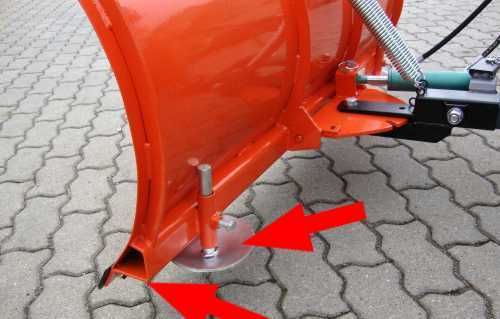 You can also press it with full pressure down so that the front wheels of the tractor hang 5 cm in the air and thus the whole weight of the tractor is on the snow plow. 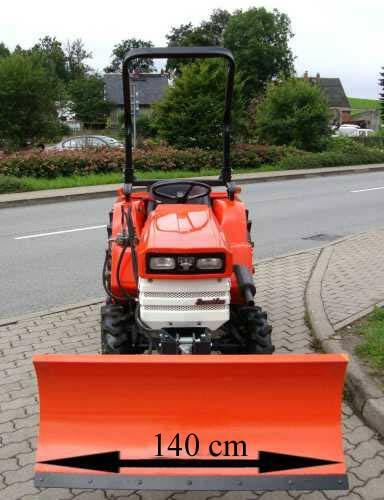 You can use full pressure to clear away solid snow and packed snow. Furthermore, a floating position function is integrated in the control block. That means you turn the blade and without pressure. So it is with its own weight on the floor and balances every bump. 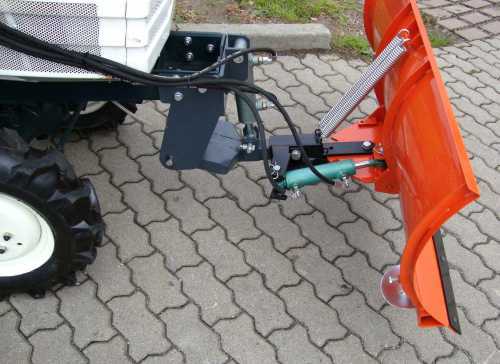 The pivoting of the snow plow is fully hydraulically via the control valve - not mechanically via a lever or push-pins. 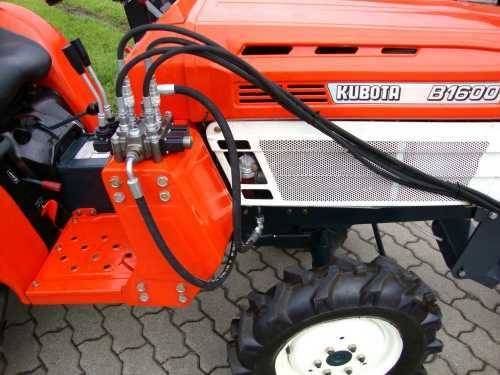 The holder for the control valve is included, but is designed for Kubota B7001. With slight modifications it also fits other tractors. 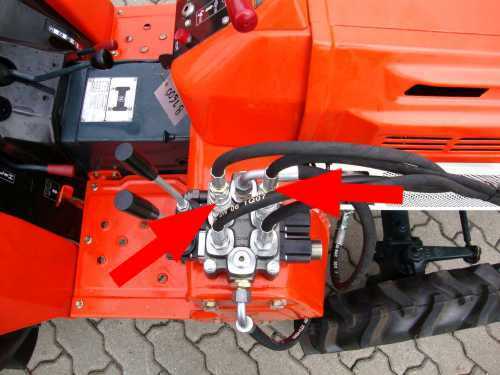 As hydraulic drive the existing hydraulic circuit of the tractor is used. 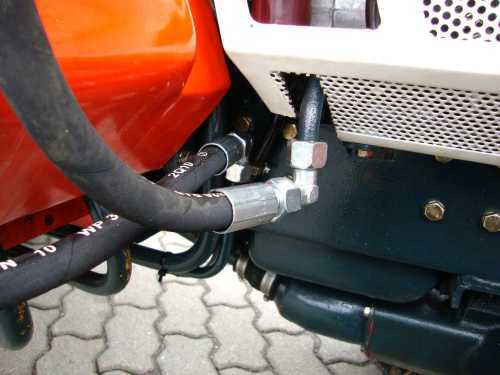 The flow-pressure line of the hydraulic circuit is cut and there are two angle-Hermeto closures fitted. 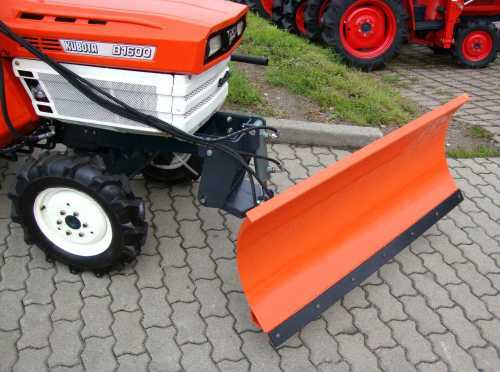 Please specify the type of tractor when buying! 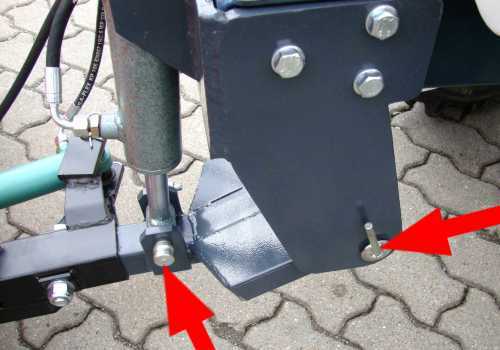 Infinitely adjustable sliding skid. 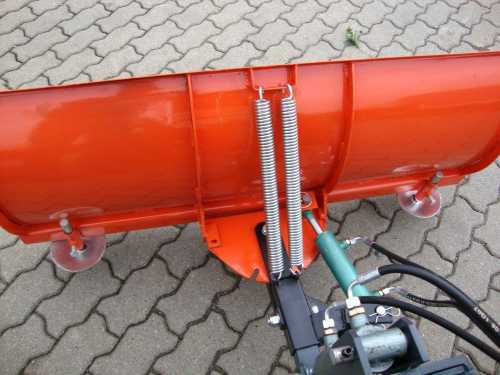 Stronger support frame to prevent warping the snow plow. Here, the control valve is screwed onto the protective plate.